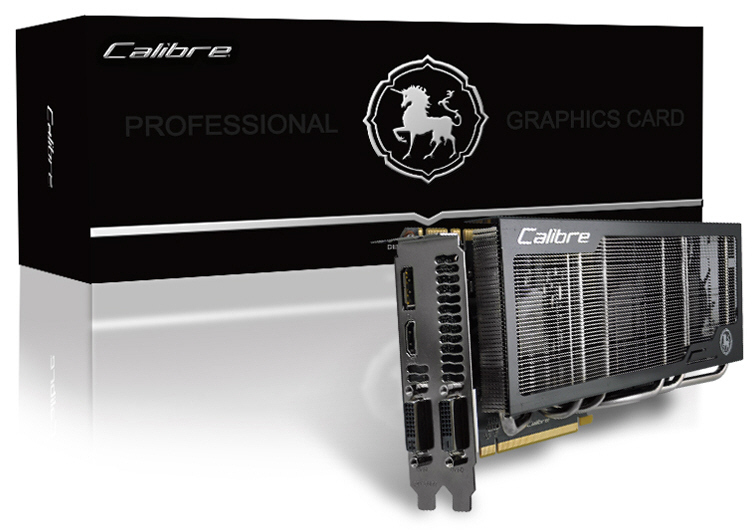 Calibre, one of industry leading brands of graphics solutions, launches the latest products, Calibre X680 Captain & Calibre X670 Captain, powered by NVIDIA’s TOP 28 nm Kepler engine – GK104. As the flagship product line of Calibre, Captain Series brings the tremendous different from reference design by tweaking the performance and cooling system, bringing the tremendous different from reference design. 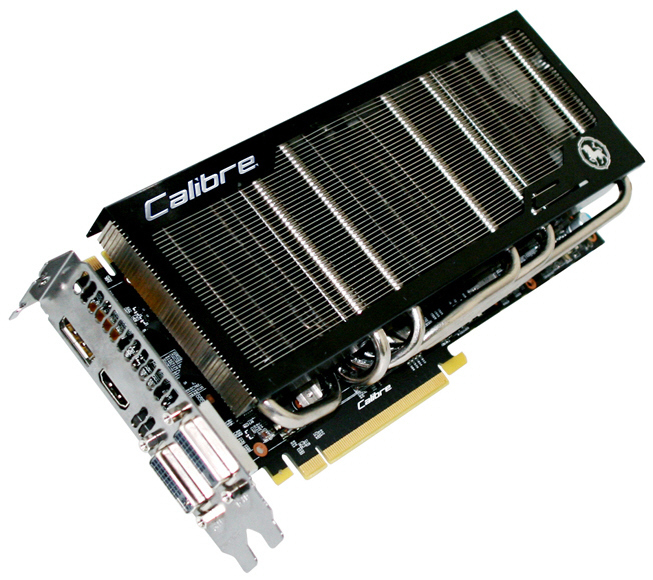 Moreover, Calibre X680/ X670 Captain Series preloaded overclocking value for enthusiasts. 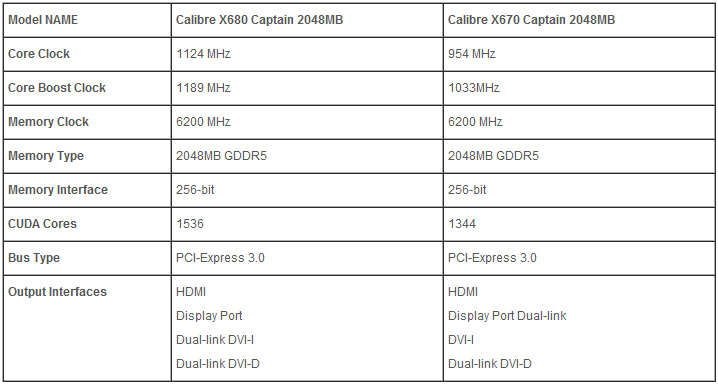 Calibre X680 & X670 Captain Series is built for enthusiasts only, with tons of expensive gears design, ready to tackle all the hungry gamers’ demands. By utilizing CoolPro Cooling System, Triple Silent PWN Fans with specialize Compact Stack Fin Heat Sinks optimizes air flow through 6 mm six ultra cool heat pipes design provides strong thermal-hydraulic cooling performance. Furthermore, 6+2 Phases power design provides stability at load, while 2oz Copper PCB delivers better energy efficiency and stability for overclocking. Moreover, with all solid built components design, Calibre X680/X670 Captain Series delivers the extremely gaming experience like never before.